Indian market before independence was seen as a market for imported vehicles while assembling of cars manufactured by General Motors and other brands was the order of the day. 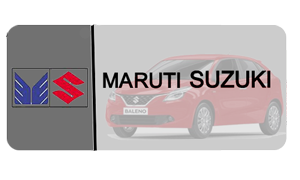 Indian automobile industry mainly focused on servicing, dealership, financing and maintenance of vehicles. Later only after a decade from independence manufacturing started. India's Transportation requirements were met by Indian Railways playing an important role till the 1950's. Since independence the Indian automobile industry faced several challenges and road blocks like manufacturing capability was restricted by the rule of license and could not be increased but still it lead to growth and success it has achieved today. For nearly three decades the total production of passenger cars was limited to 40,000 yearly. Even the production was confined to three main manufacturers Hindustan Motors, Premier Automobiles and Standard Motors. There was no expertise or research & development initiative taking place. Initially labor was unskilled and had to go through a process of learning through trial and error. 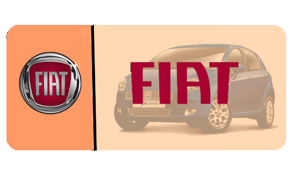 In the 1950's, The Morris Oxford, became the Ambassador, the Fiat 1100 became the Premier Padmini. Then in 1960's nearly 98% of the product was developed indigenously.There were significant changes witnessed by the end of 1970's in the automobile industry. Strong and huge initiatives like joint ventures for light commercial vehicles did not succeed. Contessa, the Rover and the Premier 118NE, which were the new models, hit the market. Till later part of 1980's India by and large followed a socialist system. The main focus of the government was development through heavy, long gestation, capital intensive projects like steel manufacturing. Priority was to the quality of the finished good and customer feedback. The Indian Automobile industry includes two-wheelers, trucks, cars, buses and three-wheelers which play a crucial role in growth of the Indian economy. 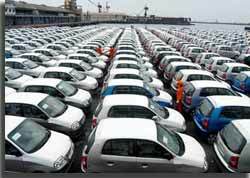 India has emerged as Asia's fourth largest exporter of automobiles, behind Japan, South Korea and Thailand. The country is expected to top the world in car volumes with approximately 611 million vehicles on the nation's roads by 2050.The Economic progress of this industry is indicated by the amount of goods and services produced which give the capacity for transportation and boost the sale of vehicles. There is a huge increase in automobile production with a catalyst effect by indirectly increasing the demand for a number of raw materials like steel, rubber, plastics, glass, paint, electronics and services. 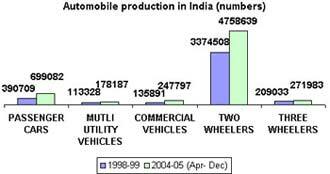 The share of Automobile industry in the last decade in the Indian economy was around 5% of GDP. The Indian Automobile industry has become the seventh largest in the world with an annual production of over 2.6 million units in 2009. 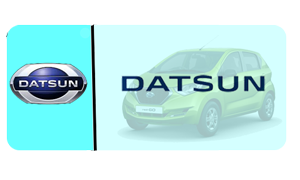 According to the research of Society of Indian Automobile Manufacturers (SIAM), the overall vehicle sales grew by 30 % in May 2010 to 1,208,851 units, and 8 per cent over the previous month of April 2010. Two wheeler sales rose 29 %, with motorcycle sales increasing 26% to 725,311 units, and scooter sales rising% to 157,509 units in May 2010. Commercial vehicle sales rose 58 % in May 2010. The medium and heavy commercial vehicle (M&HCV) segment grew to 33.5 % at 245,058 units and total commercial vehicle (CV) sales went up to 38.3 % to 531,395 units in 2009-10. At an estimated 25 % growth, the M&HCV segment would be about 306,000 units; total CV sales would be about 664,000 units in 2010-11. 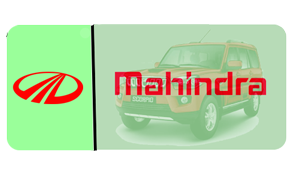 Mahindra and Mahindra (M&M) is the world's number one tractor company by selling a record of 1.59 lakh tractors in 2009 surpassing John Deere of the US. 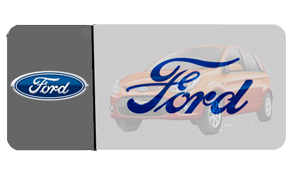 India today is well known as a potential emerging automobile market and jobs in the automobile industry are rising. Several foreign investments are pouring into Indian automobile industry. It has become a major three-wheeler market and two-wheeler manufacturer in the world. India is also the second largest manufacturer of tractors. Candidates with bachelor's degree in mechanical, electrical or automobile engineering are eligible to get good job opportunities in automobile companies. For the candidates with diploma courses and ITI courses there are many opportunities in this industry. 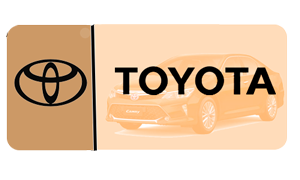 Automobile companies even require IT specializations. While technical education is offered by plenty of engineering and polytechnic colleges in India,. the eligible candidates are selected by the companies. The considerable wide scope of Automobile sector, it is not that surprising that more and more candidates are dreaming to develop a career in Automobile Industry. 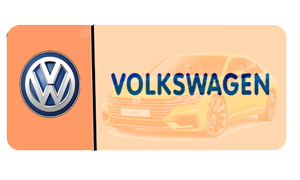 With foreign automobile companies like Volkswagen, Audi, Renault etc coming in and targeting India as a base for manufacturing cars, the scope for a career in Automobile Industry is rising rapidly. The Automobile Industry of India has come a long way since in 1898 the first car rolled out on the streets of Mumbai (then Bombay). 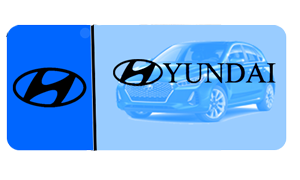 Indian auto industry, is currently growing at the pace of around 18 % per annum, has become a hot destination for global auto manufacturers like Volvo, General Motors and Ford. The Indian Automobile industry has adopted global standards which are manifested in the increasing exports of this sector. After a temporary decline in the years 1998- 99 and 1999-00, exports increased with robust growth rates of well over 50 per cent in 2002-03 and 2003-04 each to exceed two and- a-half times the export figure for 2001-02. The research of ministry of commerce and industry, shows high growth obtained since 2001- 02 in automobile production which continued for the first three quarters of the 2004-05. The Annual growth of the industry was 16.0 per cent in April-December, 2004; the growth rate in 2003-04 was 15.1 per cent. 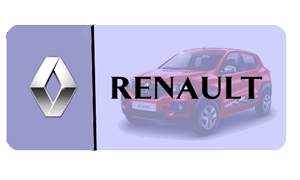 The compound annual growth rate (CAGR) of Indian Automobile Industry is of 22 per cent between 1992 and 1997. While the investments exceeding to Rs. 50,000 crore, the turnover of the industry was Rs. 59,518 crore in 2002-03. It even estimated to have exceeded Rs.1, 00,000 crore (USD 22. 74 billion) in 2003-04. Hydrocarbons - are emissions caused by partially burnt fuel molecules and they react in the presence of nitrogen oxides and sunlight to from ground level ozone. Nitrogen Oxides are the gases of precursors to the formation of ozone and also contribute in the formation of acid rain. Ironically the catalytic converters are designed to break down nitrogen gases are generally forming nitrous oxide which is more potent as pollutant than carbon dioxide as greenhouse gas. When a vehicle starts Carbon Monoxide is emitted without proper air supply, when the tuning of the vehicle is not proper and when a vehicle is driven at high altitudes where the oxygen content is lesser than in the plains. Carbon monoxide emissions great share comes from the commercial vehicles especially the heavier ones. Carbon Dioxide in greater quantities traps the earth's heat and contributes to global warming. If it is believed that smoking is harmful then there is a need to take a break from the personal automobile as the favorite set of wheels could be harming the environment and even the health more. As rest of the world is catching up with the concept of personal cars in the country, where days back having a car for the entire family will soon become a thing of the past as each bread winner of the family wants his or her personal set of wheels. Hence it is would not be surprising that the pollution levels in several metros of the country like Delhi, Mumbai, Kolkata and Bangalore are on the increase. In the cars the pollution comes from the process of the evaporation of the fuel and from the by-products of the combustion process. 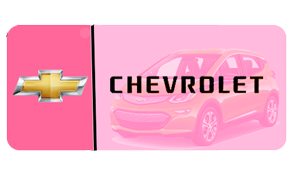 Cars use Petrol and Diesel which are a mixture of Hydrocarbons and compounds usually contain Hydrogen and carbon items. In simple terms the Oxygen in the air converts all the Hydrogen in the fuel to water and Carbon in the fuel would be converted to Carbon Dioxide. Nitrogen is supposed to remain unaffected in this whole process. However things are not that good as they look and engines are not that perfect either. Several types of harmful gases are emitted in the whole process of combustion which leaves the air polluted. The government is taking and has taken steps to introduce catalytic converters in the country a few years back to reduce air pollution. In addition to this petrol with lead has been phased out from several parts of the country to cut down on lead particles in the exhaust. In addition to this several cars and two wheeler companies are striving hard themselves to provide pollution free environment. Companies like Tata Motors and Mahindra are fine tuning their Diesel engines for optimum performance and reduced emission. 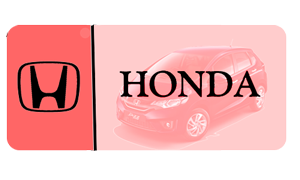 In the two-wheelers category the companies like Hero Honda is providing pollution free vehicles. With all this support from the companies, Government has to take a proactive role to reduce the pollution levels in the country and should try phasing out old vehicles and impose heavy fines on cars and heavy vehicles that pollute the environment. It should provide tax benefits to electric cas like Reva as they don't pollute the environment and take very little space on the already congested Indian roads. Today in India several new trends are emerging to tackle the problem of pollution like people are opting for car pools while a small number are cycling their way to work. The development story of the Indian automobile industry cannot be complete without mentioning the Pioneer Mr. J.R.D Tata's role in setting up the Tata group with high standard Engineering Research Centre (ERC) in 1965 to facilitate technological advancement. Pioneering the indigenization of scientific knowledge for trucks in collaboration with Mercedes Benze and launched Maruti 800 in the year 1983 which changed the dynamics of the passenger car sector in India. It was also known as the people's car. 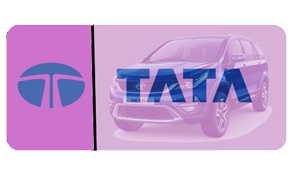 60% of the Indian commercial vehicle market is dominated by Tata Motors. The first automobile was launched in India in the year 1897 in Bombay. Today India is being recognized as a potential emerging auto market. The industry adds up foreign players to their investments. 80% of the segment size is contributed by two-wheelers & motorcycles. Indian passenger vehicle market is dominated by cars (79%) unlike the USA. 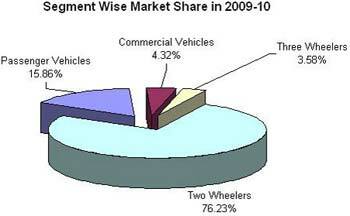 India is the largest three-wheeler & two-wheeler market in the world. It is second largest tractor manufacturer in the world, fifth largest commercial vehicle manufacturer in the world. India crossed the 1 million mark as the fourth largest car market in Asia recently. The industry is expected to grow to US$ 40 billion by 2015 from the current level of US$ 7 billion in 2008. By the year 2016 the industry is expected to contribute 10% of the nation's GDP. Very recently history has been created in the world of Automobile Industry by Ratan Tata, Chairman (Tata Motors) by launching the world's cheapest car NANO. 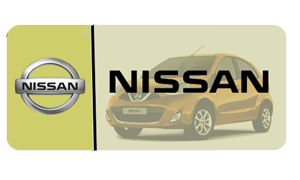 The price of the car was around one lakh which gained instant recognition in the automobile industry across the globe. It heralded the coming to age of the Indian Automobile Industry. India is the second Largest Producer of Motorcycles in the world (5.2 Mln) after China which has a production volume of 12 Mln.